A major breakthrough was the introduction of portable defibrillators used out of hospital in the 1950’s. Pioneered in the old Soviet Union and satellite countries, the Czechoslovakia Gurvich Peleška’s Prema defibrillator was designed to be more portable than original models used elsewhere in the world. 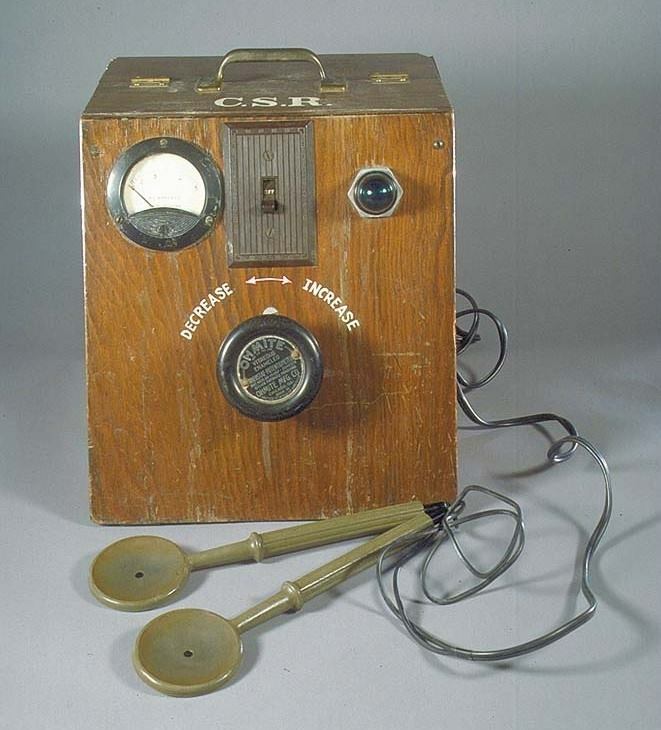 In the Soviet Union, a portable version of Gurvich’s defibrillator, model DPA-3, was first reported in 1959. However, In the west the development of the portable defibrillator is accredited to Prof. Frank Pantridge in Belfast, who in the early 1960s developed the first truly portable device, weighing over 70Kg and needing its own vehicle to transport it! By today, portable defibrillators are among the many very important tools carried by ambulances and also used in public settings by lay-persons. They are the only provable way to resuscitate a person who has suffered a cardiac arrest unwitnessed by Emergency Medical Service (EMS) who are still in persistent ventricular fibrillation or ventricular tachycardia prior to the arrival of an ambulance. When choosing a defibrillator, talk to specialist organisations. There are many retailers who offer ‘discounted’ defibrillators, many of which have been superseded by more appropriate equipment for community use. Many of these will make claims which are unfounded or just inaccurate. When acquiring a defibrillator, go for the best you can afford. A ‘Cheap’ device is most likely to be an older design, lacking in some aspects of functionality, are not FDA approved, or new manufacturers trying to gain market share. Posted on Thursday, January 17th, 2019 at 9:20 pm / Uncategorized.